Farm | Winners Drink Milk! People love to shop for clothes and eat! We love the variety of food we can taste and the styles that clothing stores offer. Who is to thank for all these wonderful products – it starts with farmers! National Farm-City Week is celebrated this week. This year marks the 57th anniversary of the annual celebration. As you prepare your Thanksgiving meal think about these things which you are grateful. Farm-City Week celebrates the partnership between farmers and their urban colleagues who help prepare, transport, market and retail the food and fiber farmers grow for America’s consumers. Did you know that nearly 1 in 20 workers in our national economy plays a role in getting food and fiber from the farm to consumers? Many people are now two, three or even four generations removed from life on the farm. People do not completely understand and lack the first-hand knowledge of how their food gets from the farm to their plate. National Farm-City Week helps call attention to the agricultural community and the origins of products we enjoy daily. Although the number of farms in the United States has declined over the years, agricultural production continues to meet the needs of a growing population. Today’s farmer grows twice as much food as his or her parents did, but uses less land, water and energy to do so. Some ways Farm-City Week is being celebrated in communities across the country are hosting farm days at schools, farm tours, banquets and proclamations. Farm-City Week can be celebrated throughout the year too! I urge you to visit a modern dairy farm with your family if you have never stepped foot on one. Consider adding the farmers and all those who helped get the food you will eat this holiday season to your list of people to give thanks. More info about National Farm-City Week is available at farmcity.org . Test your knowledge and take a farm city quiz as well! Celebrating 80 years of nutrition education in Indiana through our Dairy Council. Indiana dairy farmers are long time supporters of nutrition research and education for the health of Hoosiers. Dining at the home of Jim Irsay! We partner with the Colts to bring improved nutrition and fitness experiences to Indiana school students. That partnership yielded an invitation that I was thrilled to accept and gave me a rare opportunity to chat with Mr. Irsay about our Fuel Up to Play 60 program. Helping our two dairy farmer milkmen get ready to present the famous bottle of milk in Victory Circle following the Indianapolis 500. This year I was very close to the action! How exciting! Attending our annual Dairy Summit. More than 250 registered dietitians and school nutrition professionals came to the conference to learn from experts about the new dietary guidelines, the benefits of flavored milk at school and chocolate milk as a sports recovery drink. Visiting several dairy farms during the Kentuckiana Dairy Exchange in Indiana. Each year, dairy farmers from Kentucky and Indiana get together to tour farms and swap ideas. We have a varied and vibrant dairy industry in Indiana and it was great to spend some time on several fascinating farms. Watching Diane Ruyack receive her 35-year service award at our annual meeting. 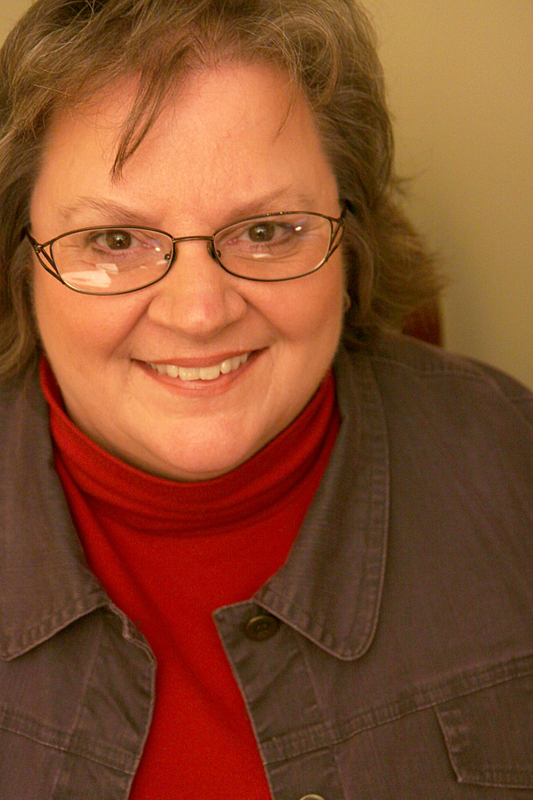 I’ve had the privilege to work with Diane for many years and was so grateful to see her be recognized for a long career sharing the good nutrition news about dairy products on behalf of Indiana’s dairy farmers. Unveiling the cheese sculpture at the Indiana State Fair. For several years, we’ve brought Sarah Kaufmann, cheese sculptor, to our great state fair to create a work of art from huge blocks of cheese delighting thousands of fair-goers! Hosting Dairy Day at Victory Field. We entertained Indiana dairy farmers at the beautiful ball park in June. It was a great time for visiting and showcasing dairy at the ball game. Announcing that 2012 is the Year of Dairy Cows at the Indiana State Fair! Born out of a commitment for service, matured through the processes of service to health and education, the dairy industry developed and nurtured what is known today as the Dairy & Nutrition Council of Indiana, Inc.
Those words written thirty years ago evoke strong feelings. Looking back and reading those words once again, I feel the intense pride in our Indiana dairy farm families that I felt thirty years ago while putting together the program for the Northern Indiana Dairy Council’s 50th anniversary! My pride stems from knowing Indiana dairy farm families’ dedication to providing, not only good food, but a gold-standard nutrition education program as well. 2011 marks the 80th anniversary of the organization known today as Dairy & Nutrition Council, Inc. Our materials and programs look different from those of 80 years ago, but our reliance on sound science has never changed. We continue to work with health professionals, educators and the media delivering current, peer-reviewed nutrition science and information along with practical tips to make a difference in the lives of Hoosiers. 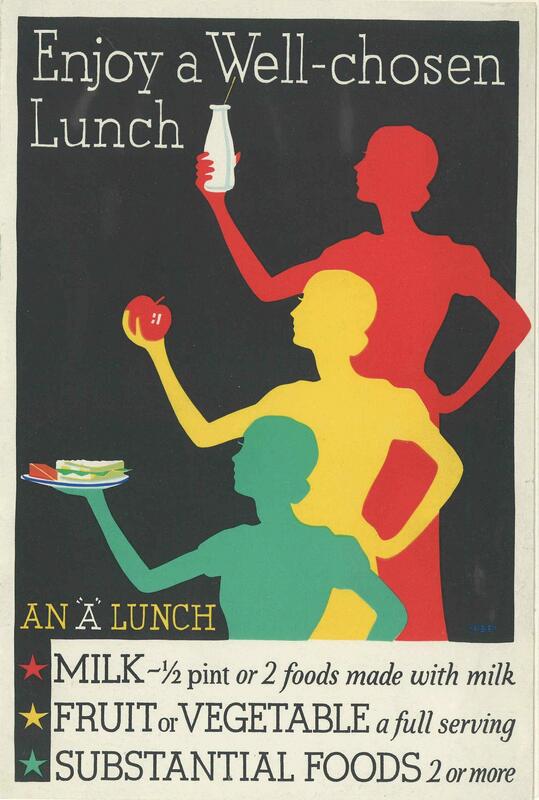 One of the first health messages, 80 years ago, to school children was presented on a book mark: Eat 3 meals daily including at least ONE GLASS OF MILK WITH EACH MEAL. Today we are part of Fuel Up To Play 60, a nation-wide nutrition and fitness initiative in more than 70,000 schools across America empowering students to make healthy food and fitness choices. Our Indiana dairy farm families didn’t stop at nutrition education. They also nurture and support promotion programs. 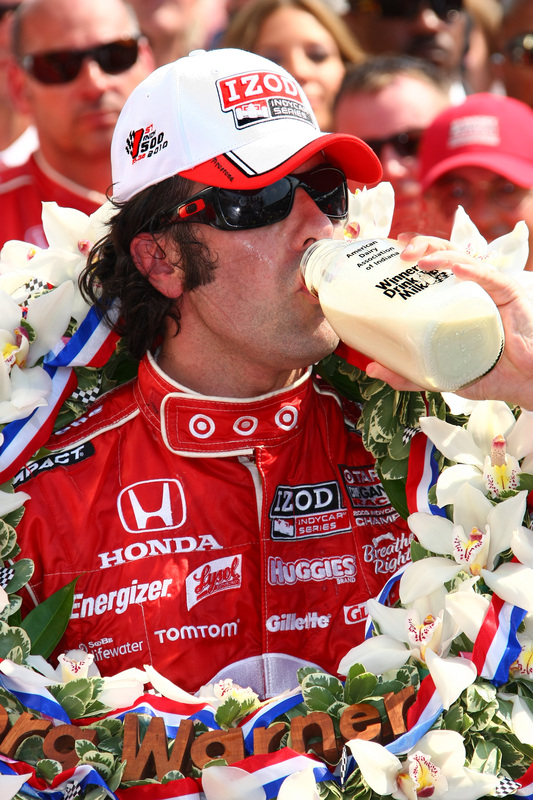 The most notable being Winners Drink Milk®, the marketing and public relations efforts around the storied ice cold Drink of Milk in Victory Circle, following the Indianapolis 500 Mile Race. 2011 marks the 100th anniversary of the first running of that greatest spectacle in racing! The tradition of drinking milk to celebrate winning the Indy 500 got its start 70+ years ago. When legendary race driver Louis Meyer pulled into Victory Lane at the Indianapolis Motor Speedway on Memorial Day 1933 and asked for a cold glass of buttermilk to quench his thirst after 500 grueling miles a tradition was born. For more than 70 years the drink of milk tradition has remained an endearing part of Indianapolis lore. In 2005 the drink of milk tradition was named the sports world’s coolest prize by Sports Illustrated on their website. Today, dairy farmers who serve as directors on the board of Milk Promotion Services of Indiana are selected, in teams of two, to deliver the ice cold milk to the winning driver on race day, helping him or her re-hydrate, refuel and refresh. One of the activities I enjoy most about my job is getting to visit dairy farms. I love animals and cows are one of my favorites. This week, our team visited Four-Leaf Clover Dairy in Geneva Indiana. 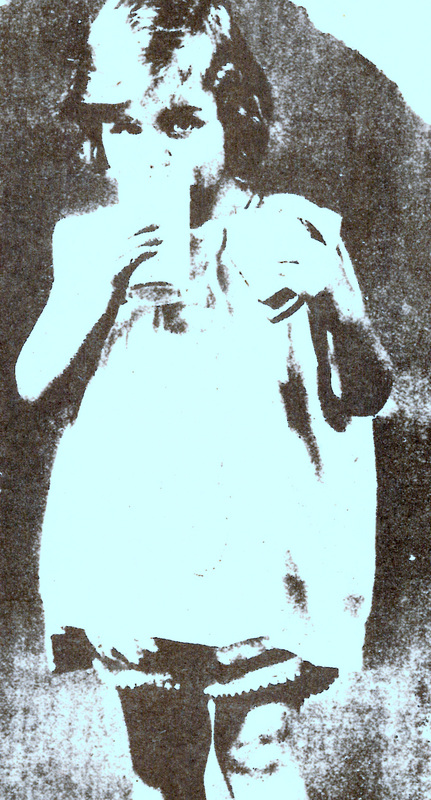 The dairy is owned by Leontien Oostdijck – Vandelaar and her family. The Vandelaar family immigrated to America from the Netherlands and is adjusting well to life in Indiana. Leontien and her family began operating Four Leaf Clover Dairy three years ago this month. The family operation also has 21 employees. Their primary focus is on quality. During our tour of the farm, Leontien showed us how the family cares for their cows and the land to produce high quality milk. Cows get regular pedicures at Four-Leaf Clover. Cows get a foot bath every three days and a hoof trimmer comes in once a week. 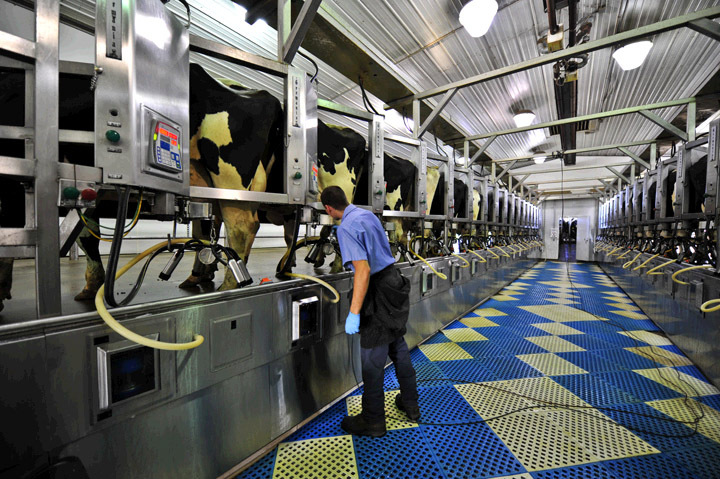 The cows are in the milking parlor for about 5 to 10 minutes each session, and are milked three times a day. The cows and workers both stand on thick rubber mats during the process so everyone’s comfortable. Sand beds add to cow comfort. Cows spend much of their time relaxing in their beds. The cow’s sand beds are fluffed three times a day with new sand added once a week. The sand beds are like a day at the beach. When Leontien is not busy with the farm, she blogs. Check out Four-Leaf Clover Tales at http://fourleafcloverdairy.blogspot.com . She also has a cooking blog called A Farmers Recipe at http://afarmersrecipe.blogspot.com/. I tried her recipe: Boerenkool met Nootjes en Brie…I call it Kale and Mash with Nuts and Brie. Very yummy (though I’m convinced some of my family would think I’d ruined the mashed potatoes by adding Kale, nuts and brie, they would be wrong). This traditional Dutch dish is something I plan to make again. I have Kale in the fridge right now. The Vandelaars’ are especially appreciative when people stop by to look over their dairy operation. 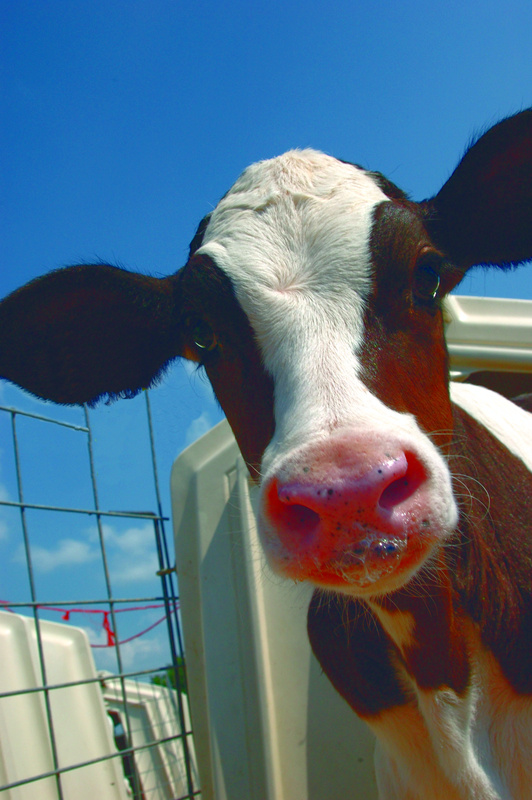 If you can’t make a visit to the farm, visit them online at http://www.fourleafcloverdairy.com/ and E-dopt a cow! You can sign up and get a link to an 8″x10″ photo of “your” cow and a Certificate of Edoption that you can save and print. Then, you can check out the website each month to learn about ‘your’ cows’ life on the farm. You deserve to hear the real story about dairy production from those who know it best…America’s dairy farmers. With less than 2 percent of the U.S. population involved in farming today, many people don’t have the opportunity to visit a dairy farm. Add the fact that most people are three to four generations removed from the farm, and you find a pretty big information gap. The below information from hard-working dairy men and women will help bring dairy farm practices to life. Myth: All milk contains antibiotics, except organic. Fact: All milk is carefully tested for antibiotics. Any milk that tests positive is disposed of immediately, and does not enter into the food supply. Sometimes it’s necessary for farmers to treat cows with antibiotics when they are ill, just as humans sometimes need medication when they are sick. All milk is strictly tested for antibiotics on the farm and processing plant. 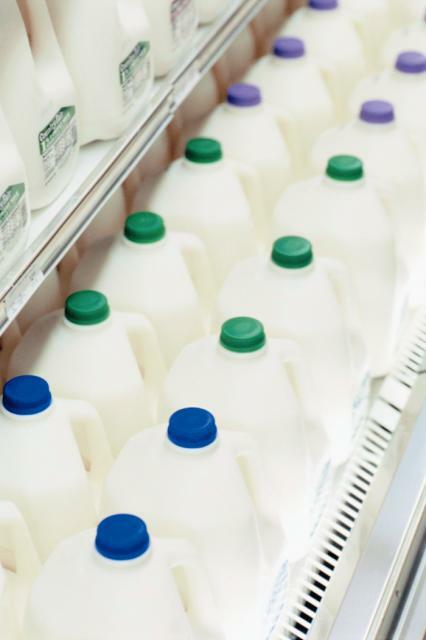 Any milk that tests positive is disposed of immediately and does not get into the food supply. The U.S. dairy industry conducts more than 3.3 million tests each year on all milk entering dairy plants to ensure that antibiotics are kept out of the milk supply. According to the most recent U.S. Food and Drug Administration (FDA) data, less than one tanker in 3,000 tests positive for any animal drug residues, including antibiotics. In those rare cases, any milk that tests positive is disposed of immediately and does not get into the food supply. 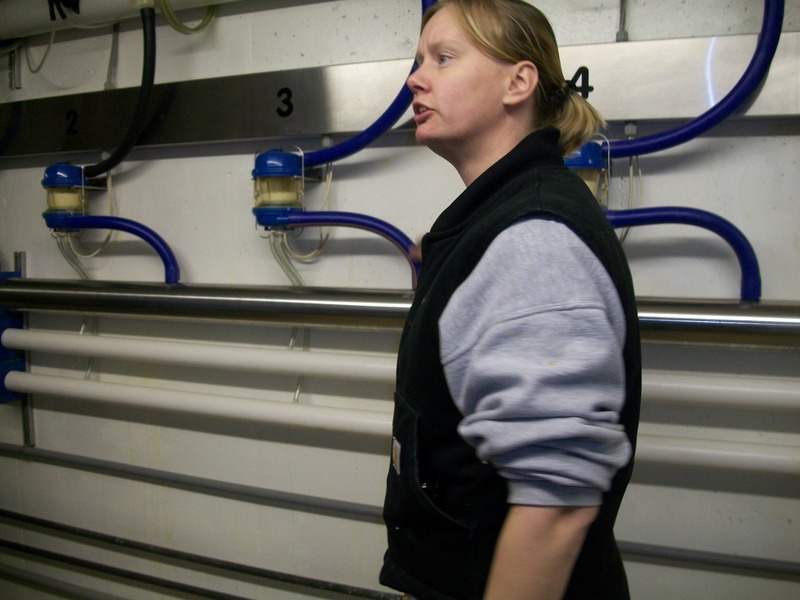 The milk testing system provides dairy farmers strong incentives to keep their milk free of antibiotics. Any milk that tests positive for antibiotics is immediately dumped. In such cases, the farmer responsible for the milk is required to pay for the full tanker of milk. Milk and dairy products are among the most stringently regulated foods in this country. Myth: Today’s dairy cow is treated like nothing more than a milk machine. Fact: Dairy cows must be healthy and well cared for in order to produce pure, wholesome milk. Farmers employ professional nutritionists to develop a scientifically formulated, balanced and nutritious diet for their cows. Diets include hay, grains, protein sources, and vitamins and minerals. Dairy cows receive regular veterinary care, including periodic check-ups, preventative vaccinations and prompt treatment of illness. 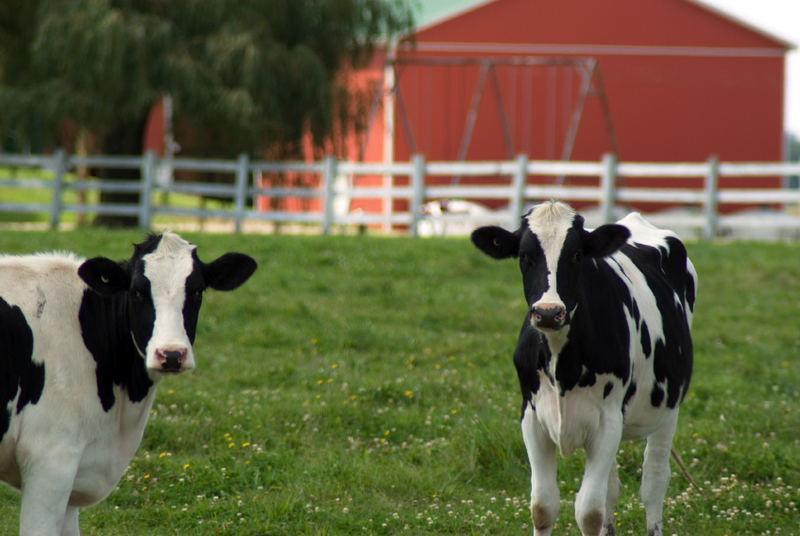 The dairy industry has in place a number of initiatives that demonstrate commitment to animal well-being. The National Dairy FARM Program™ is a nationwide, verifiable program that addresses animal well-being. Third-party verification ensures the validity and the integrity of the program to our customers and consumers. Dairy farmers depend on healthy cows for their livelihood. Myth: The reason the price of milk is going up in the grocery store is so dairy farmers can get rich. Fact: Price increases for dairy, and all foods, beverages and other goods, are tied to dramatic increases in energy/fuel, distribution, transportation, feed, and supply costs. Dairy farmers only receive about 30 cents of every dollar. Farmers are seeing a lot of cost increases in producing milk, including feed and transportation. These cost increases have left slim margins for dairy farmers in recent years. Want to learn more? Click here to view our fact sheets about life on the farm. Local Cheeses Well Represented in Indiana! Cheese and wine just make everything better! Don’t you agree? Before I came to the American Dairy Association of Indiana (ADAI), I enjoyed many imported cheeses made from a variety of animal milks, such as the creaminess of the buffalo mozzarella, the sharpness of aged goat cheese, and the saltiness of sheep’s milk feta. Each has their own history and culture. The longer I work at the ADAI; I get to enjoy more domestic cheeses, rich in heritage, flavor, and passion. Yes, passion. I have even had the opportunity to help develop the Gouda that is sold during the Indiana State Fair. It is made by Swissland Dairy which is owned and operated by Mary and Kirk Johnson Berne, Indiana. Using this delicious, creamy, buttery cheese on grilled cheese sandwiches at the fair has allowed thousands to enjoy a new cheese variety that can be easily added to their home menu in salads, sandwiches, appetizers, pizzas and on the grill! Deutsch Kase Haus is another local Dairy that prepares the Dairy Bar’s staple of Colby at the Indiana State Fair! The ‘mini horns,’ as they are called, arrive and are sliced almost immediately because we can’t wait to get that first taste! It’s golden color and mild taste when joined by wheat bread is a perfect adult version of the grilled cheese sandwich. 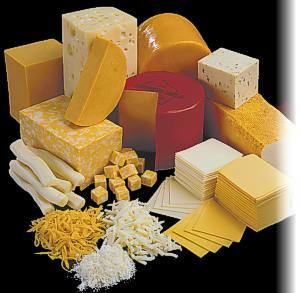 Some of you may also be familiar with their luscious butter cheese or veggie cheese. It’s just another Hoosier secret you will want to learn more about while traveling Indiana this Fall. Fair Oaks Farms has pepper Harvarti cheese which is just fabulous. Using their own award winning recipe, they have created a cheese that is incredible with salads, potatoes, grilled steaks, or simply with wine and fresh bread! If you are traveling North or South on I-65, this is definitely a must taste! Indiana truly has its share of Hoosier cheeses as there are many local cheese makers creating fine artisan products that are available locally and online. Some of the farmers markets also have a wonderful variety of choices to enjoy. What is your favorite domestic cheese? If it is locally made, who is your favorite cheese artisan? Last week we had the opportunity to visit Kelsay and Sons Dairy Farm in Whiteland, Indiana. This local dairy farm is just outside Indianapolis off of I-65 South. They work hard to not only run an efficient operation but make the public feel welcome on their farm, as well. They love teaching consumers about agriculture, food production, and what farmers do to care for their animals. It was a neat experience to learn about how a dairy farm actually operates and is managed. Liz Woodruff was our tour guide for the day. She showed us the barns where the cows live as well as where the baby cows (e.g. calves) are born, the milking parlor, and the milk holding tank. Kelsay Farms is a unique dairy operation because they grow all of their own feed. They plant crops in the Spring, grow them all Summer, and then harvest them in the Fall. All of which are then used to feed their cows for the rest of the year. This takes special coordination to manage growing crops and taking care of 500 cows. Each lactating cow is milked three times a day around the clock. When the cows aren’t in the milking parlor they live a pampered lifestyle in three different barns with automatic misters, all the food they can eat, sawdust beds, and a constant supply of water. Cows don’t like to be hot in the summer or cold in the winter so they are kept in a temperature-regulated barn throughout the year. It was evident that this keeps them happy and healthy as we watched the cows resting and socializing with one another. We also learned that cows are very habitual creatures, and when their routine is disrupted their milk production decreases. Therefore, the barns are monitored and regulated so that the cows are always comfortable. The milk that is produced at the Kelsay and Sons Dairy Farm is sent down to Dean’s Dairy in Louisville, Kentucky. Throughout the year they open up their facilities to group tours. Then, in the fall, they have a corn maze, pumpkin patch, hay rides, and other fun activities for all age groups. These Fall activities begin October 2nd at noon. So, gather up your family and head out to Kelsay Farms, just like we did! More information, an event schedule, and pictures of this LOCAL dairy farm are found at www.KelsayFarms.com.